Venture capital is the private finance provided to companies from their initial launch through to when they secure an exit or can be funded by more traditional financial means. While the term venture capital is often associated with venture capital funds and venture capitalists are generally assumed to be those that manage the funds, the wider-reaching term stretches to cover all stages of early financiers, including the three Fs (friends, family, fools), business angels, crowdfunding (all types), venture capital funds, and even taking into account some forms of private equity. Venture capital is generally not structured to be a long-term investment. All levels of venture capital, from angels to private equity houses, look to hold their investments for between five and seven years, after which they look to exit through an IPO, trade sale or from selling shares to another investment firm upward or lateral in the chain. For instance, angels may sell to VC funds in later funding rounds and VC funds may sell to private equity houses. The end game of venture capital is to support the growth of ambitious companies with the hope of the company doing well enough for the investors to receive a sizeable return on their investment. Some of the world's largest companies, including Alphabet (Google), Facebook, Microsoft and Amazon, received venture capital investment in their early days, with investors earning many multiples in return. However, venture capital is one of the riskiest investment classes to pursue. Anyone considering investing in an early-stage venture should spend time understanding these risks (detailed lower in this page), as for every major startup success there our countless other startups that have gone bust with associated investors losing some, or all, of their investment. Modern venture capital started to take shape in American in the 1930s as structural restrictions imposed on American banks by the Glass-Steagall Act meant there were effectively no private merchant banking activities. Entrepreneurs increasingly turned to wealthy individuals and families to find the capital they needed to start their companies or fund projects. At this time, the Vanderbilts, Whitneys, Rockefellers and Warburgs were some of the largest investors in private companies for the first half of the century. In 1953 the Small Business Administration was formed by the American government as a first step towards organising the professional industry around venture capital. The additions introduced by the Small Business Act of 1958 allowed these firms to leverage federal funds against privately raised funds for the purpose of investing into entrepreneurial ventures. The most successful of those early venture capitalists were Arthur Rock, Tommy Davis, Tom Perkins and Eugene Kleiner. Some consider these the founding fathers of the modern VC as their investing knowledge combined with their operating experience were pivotal in the creation of the modern computer industry in the 1970s and 1980s. Some of the biggest names in semiconductor and computer businesses were backed by VCs in this period and their success led to more investors entering the market. In fact, while there were around a dozen firms set up in the 70s, more than 650 firms were running by the end of the 80s. Poor early returns meant that while there were a number of firms, the amount of capital invested in the 80s was relatively flat. Some firms merged, some disappeared, some just changed focus. However, by the mid-1990s money began to pour into the first wave of internet ventures and other computer-related technologies. Venture-backed firms began IPOing at a rapid pace – too rapid, in fact. In March 2000 the Nasdaq faltered and valuations for recently IPO’d tech companies collapsed, wiping billions off the market. The good times began trickling back to venture capital following the recession of 2008, with companies like Facebook making early investors rich upon IPO. Money is now flowing into artificial intelligence, machine learning and blockchain, to name a few, and many analysts are wondering if the industry is overdue another correction. All levels of venture capital aim to bring more than just money to the table. Below you’ll see a breakdown of the different levels and the pros and cons associated with each. No explanation needed on who the first two are, but who are the 'fools'? To be honest, no idea. Fools was likely added to reinforce the riskiness of investing at this stage (and for, well, alliteration). Pros: Friends and family may back an idea regardless of how plausible it is or possible it may be to compete with the incumbent. Cons: Did you read the above? They may back an idea regardless of how plausible it is or possible it may be to compete with the incumbent. Lots of money has been lost by friends and family backing friends and family. In addition, friends and family are less likely to bring added value beyond capital (unless your dad is Bill Gates or siimlar). PS Could you imagine having to tell your mum, dad, uncle, brother, sister, BFF, that your business has gone bust and there is no way you can repay them? This capital is a double-edged sword. Angel investors are typically a diverse group of individuals who have amassed their wealth through a variety of sources. However, they tend to be entrepreneurs themselves, or executives recently retired from the business empires they've built. Pros: Getting wizened investors on board early who are likely to be supportive of the business post funding round through mentorship and introductions to their network. They are often less aggressive on the terms than VCs. Cons: Limited cheque size. Most angels invest early on but ultimately the companies will need to go to a VC as the angel capital will run out. Some may disagree that this is venture capital as the amount being invested by the individuals involved may not represent significant somes. However, more modern forms of equity crowdfunding often co-invest alongside angels and funds, and reflect sizeable investments. Pros: In addition to the marketing value of the fundraising campaign itselt, having a large number of investor-turned-advocates supporting the business mirrors much of the impact of having a large number of business angels involved. Cons: Handling a large number of investors can be difficult if they are not incorporated into a nominee (special purpose vehicle) and if the platform does not provide post investment assistance managing them. The group for whom the industry is named after. Pros: Deep pockets that can continue to back the company as they grow. A sizeable network that can be tapped into to support the business. A full, highly skilled team to provide guidance and share experience. Cons: VCs often act in the interest of their underlying investors, which means they can withdraw support and apply pressure at board level to make certain decisions, replace founders or force an early exit if need be. How are venture capital funds structured? The typical venture capital funds (VCFs) work on ten-year time frame. For the first three or four years after the fund is closed (i.e. all the money is raised), the fund will look to make its investments. The number of investments made will be determined by the size of the fund and the stage at which it invests, though many traditional funds shoot for around ten. At the end of year four, the fund will have deployed much of the amount raised, with some kept to back the star performers in later rounds. The fund will then focus fully on assisting the investee companies in achieving their growth targets in anticipation of an exit opportunity a few years later. 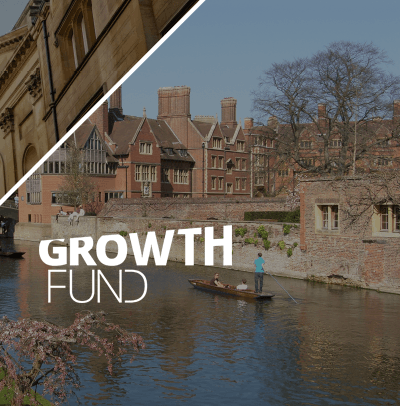 From year seven to ten, the venture capital fund will be focused on helping the company find a suitable exit, or find additional backers to lead later funding rounds. Not all VCFs follow their money in these later rounds though those who have raised their next fund may choose to do so. Provide the bulk fiance that goes into the fund. These can be individuals, institutions, or other funds (Pension, Endowment, other). LPs are generally silent partners of a fund and can express their pleasure, or displeasure, with the running of the fund by contributing, or not contributing, to the next fund the VCF raises. The individuals who run the firm and make the final decisions on behalf of the fund. 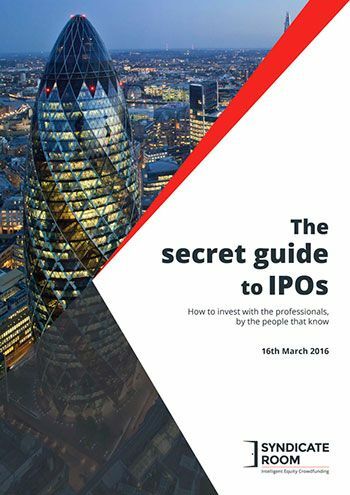 GPs often put personal capital into the fund, somewhere between 1–2% of the total fund, to have 'skin in the game' and show investors they believe in what they are doing. Not all funds have Venture Partners, or VPs. When used, VPs are tasked with sourcing quality investment opportunities for the fund and are compensated on the number and quality that ultimately receive investment. Mid-level investment professionals who are often the star performing associates, or experienced individuals from other industries, who are on track to becoming a Partner. Not all firms have principals, small firms will typically skip this title and just have General Partners and Associates. The junior position within the team, associates are often tasked with a lot of the leg work that goes into reviewing and filtering deal flow early in the process. Companies that are of interest are then passed up the chain. Entrepreneur in Residence (EIR) EIRs, generally an industry expert or previously successful entrepreneur, work to develop interesting businesses ideas within a VC firm with the ultimate aim of spinning it out into its own venture. EIRs can also assist the team with due diligence on opportunities within their domain of expertise. 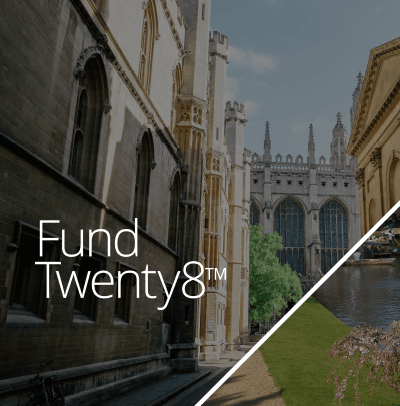 To find out about SyndicateRoom's two EIS funds, click on the image below. 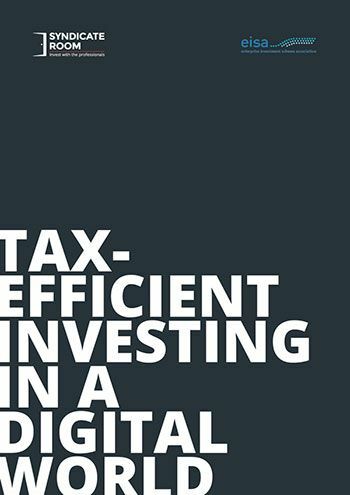 As the principals and partners will be responsible for ensuring the company acheives the level of growth required, the company must then pass under the eye of the principal who may be involved with the company post funding, and the partners who are ultimately responsible for providing returns to investors. While the numbers will be reviewed and scruitinsed again, this test is more focused on the team and if the fund believes enough in the team to write the cheque. Pass this test and the money, and all of the baggage that comes with it, will be invested. Once the money is invested, the VC team will get to work supporting the business, providing mentorship, connections, anything and everything they can to help the company accelerate growth. Just remember, they are not doing this out of the goodness of their hearts; their aim is to make money through a sale or floatation onto a market. If at any stage the firm loses faith in the team, they may look to replace them, or if they’ve lost faith in the company, they may look to sell at a loss.